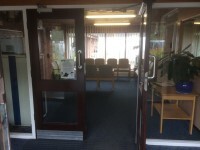 Services within the building include: Learning Disabilities. 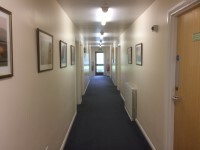 Osborne Court is located on Osborne Road and can be accessed by Worcester Road and Malvern Road from Worcester. 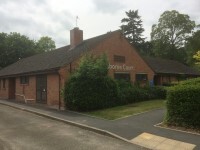 Worcester Road gives access to the centre of Malvern Link. Blue Badge parking spaces are available in front of the Osborne Court building. The nearest bus stop is located either at Co-op or on Moorlands Road. The 44 service stops hat both. It may be easier to alight at Moorlands Road, as the route is downhill from there. 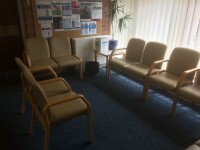 The nearest train station is Malvern Link, it is approximately 0.4 miles (2 min drive) from Osborne Court. This is the link for the home page of West Midlands Railway, the service operators of Malvern Link Train Station. This is the link for the home page of First Group, the operators of bus services around Malvern Link. The dimensions of the designated Blue Badge parking bay(s) surveyed are 600cm x 500cm (19ft 8in x 16ft 5in). 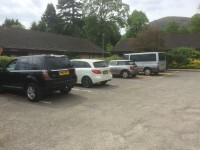 Standard parking bays are also located in front of Hydrotherapy and Sir Jules Thorn. 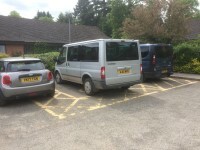 There are also three bays between the two buildings reserved for those with mobility impairments. The nearest designated Blue Badge parking bay is approximately 14m (15yd 11in) from the Main Entrance. The push pad or push button is 114cm from floor level. The reception point is located to the right on entering. 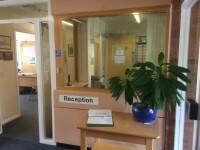 The reception point is approximately 2m (2yd 7in) from the Main Entrance. There is not a clear unobstructed route to the reception point. 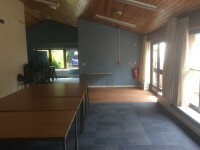 You are on Room / Area (Meeting Room). Skip to the next section. 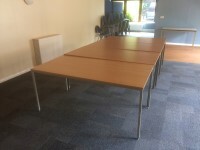 The name / number of the room / area surveyed was; Meeting Room. 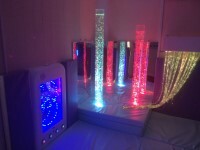 You are on Room / Area (Sensory Room). Skip to the next section. 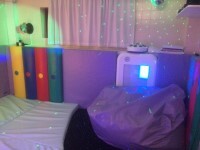 The name / number of the room / area surveyed was; Sensory Room. 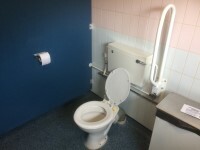 This accessible toilet is located to the left on entering. The facility is located in the male standard toilets. 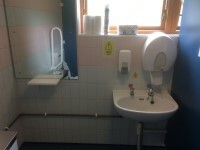 The dimensions of the accessible toilet are 227cm x 173cm (7ft 5in x 5ft 8in). The lateral transfer space is 141cm (4ft 8in). The height of the coat hook is 177cm from the floor. There is not a/are not wall-mounted grab rail(s) available. 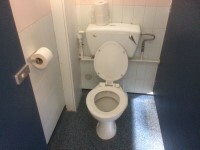 The height of the toilet roll holder is 91cm (2ft 12in). 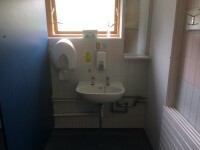 The height of the wash basin is 82cm (2ft 8in). 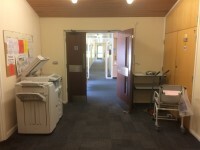 The female and male toilet facilities that were surveyed are located to the left on entering. 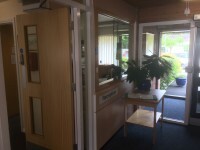 The female and male toilets are approximately 9m (9yd 2ft) from the Main Entrance.